Featured amenities include dry cleaning/laundry services, a 24-hour front desk, and luggage storage. Event facilities at this hotel consist of a conference center and a meeting room. Free self parking is available onsite. Make yourself at home in one of the 406 guestrooms featuring refrigerators. Complimentary wireless Internet access keeps you connected, and cable programming is available for your entertainment. Partially open bathrooms with showers feature complimentary toiletries and slippers. Conveniences include desks and complimentary bottled water, as well as phones with free local calls. With a stay at Fort Hostel, you'll be centrally located in Yekaterinburg, within a 10-minute drive of Sverdlovsk Railway Museum and Voznesenskaya Gorka. This hostel is 1.7 mi (2.7 km) from Ural State University and 1.7 mi (2.8 km) from Osnovinsky Park. 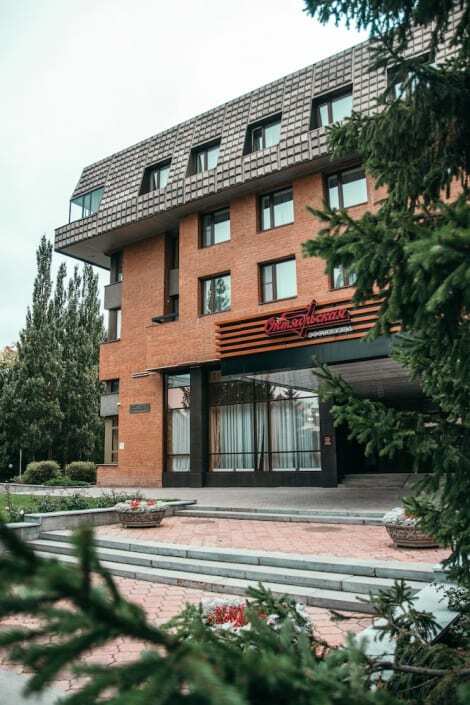 A stay at Tsentralny by Usta Hotels places you in the heart of Yekaterinburg, steps from Vysotsky Business Center and Sverdlovsk Regional Universal Scientific Library. This hotel is 0.2 mi (0.4 km) from Vladimir Vysotsky Monument and 0.3 mi (0.6 km) from Sverdlovsk Academic Theatre Of Musical Comedy. Make use of convenient amenities such as complimentary wireless Internet access, concierge services, and gift shops/newsstands. This Art Deco hotel also features a hair salon, a television in a common area, and a vending machine. Make yourself at home in one of the 53 air-conditioned rooms featuring refrigerators and minibars. Complimentary wired and wireless Internet access keeps you connected, and satellite programming provides entertainment. Bathrooms have complimentary toiletries and bidets. Conveniences include phones, as well as safes and desks. Make yourself at home in one of the 30 air-conditioned rooms featuring refrigerators and flat-screen televisions. Complimentary wireless Internet access keeps you connected, and satellite programming is available for your entertainment. Private bathrooms with shower/tub combinations feature complimentary toiletries and hair dryers. Conveniences include phones, as well as safes and desks. With a stay at Oktyabrskaya Hotel, you'll be centrally located in Yekaterinburg, just a 4-minute walk from Yekaterinburg Arboretum and 11 minutes by foot from Ural State Technical University History Museum. 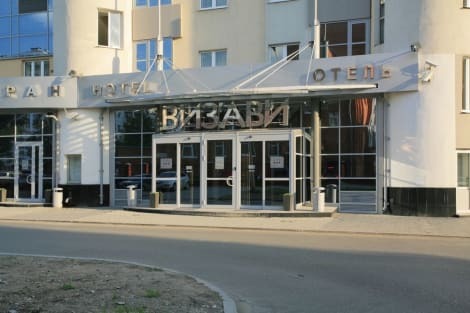 This 4-star hotel is 0.6 mi (0.9 km) from Student Theatre and 0.8 mi (1.3 km) from Ural State Technical University. This welcoming hotel boasts a convenient position just a 15-minute ride from the city centre. However, visitors will find plenty of public transport connections in the immediate vicinity, allowing them to easily access the main sightseeing attractions and points of interest in the city. There are several types of accommodation units offered at the establishment and all of them exude an elegant and classical atmosphere with a sophisticated and prestigious touch. Apart from a useful working desk, guest rooms are fitted with complimentary wireless Internet connection and an LCD television for visitors to watch their favourite programme at the end of the day. Both business and leisure travellers may rent one of the hotel’s conference and banquet halls to celebrate their private or business event, taking advantage of the Parisian decoration that they boast. Make yourself at home in one of the 142 individually decorated guestrooms, featuring minibars and flat-screen televisions. Complimentary wired and wireless Internet access keeps you connected, and satellite programming provides entertainment. Private bathrooms with bathtubs or showers feature complimentary toiletries and hair dryers. Conveniences include safes and desks, as well as phones with free local calls. This cosy hotel boasts a convenient location in the heart of Ekaterinburg, just a few steps from some of the most popular attractions of rich cultural and historical value, as well as modern pieces of art like sculptures or graffiti. In the immediate vicinity, visitors will also find plenty of nice restaurants, shopping centres and business centres, as well as public transport connections. The property offers several categories of rooms, adapting to the needs of all kinds of travellers. All of them are tastefully appointed with a charming and warm style and come fully equipped with standard amenities such as a minibar and orthopaedic mattresses for a good night’s sleep. In addition, corporate travellers may take advantage of the meeting room available and appointed with modern equipment. Other facilities include a sauna and a pool ideal to relax. 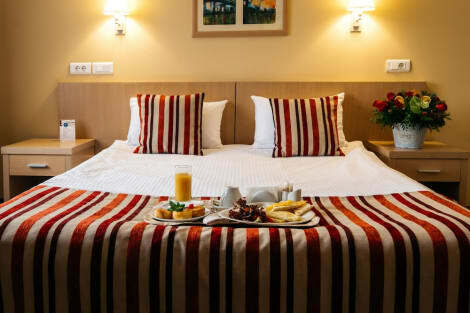 lastminute.com has a fantastic range of hotels in Ekaterinburg, with everything from cheap hotels to luxurious five star accommodation available. We like to live up to our last minute name so remember you can book any one of our excellent Ekaterinburg hotels up until midnight and stay the same night.